Steel canopies provide practical and durable protection from the sun and weather. Although they are often found near the entrance or exit of a facility, they can provide a number of applications ranging from school systems to warehouses to logistics. For our canopy projects, we custom build each project directly to customer specifications. Using our bolt together system, the steel canopy will be fabricated offsite and then shipped over to your facility ready to be put together. This allows you to prep the job site while the canopy is being fabricated, cutting overall project time. As you can imagine, a modular construction job site will have far less commotion and traffic in comparison to stick-built. Our steel canopies come in a variety of shapes, sizes, and designs so naturally, they have a number of different applications as well. Here are a few of them! 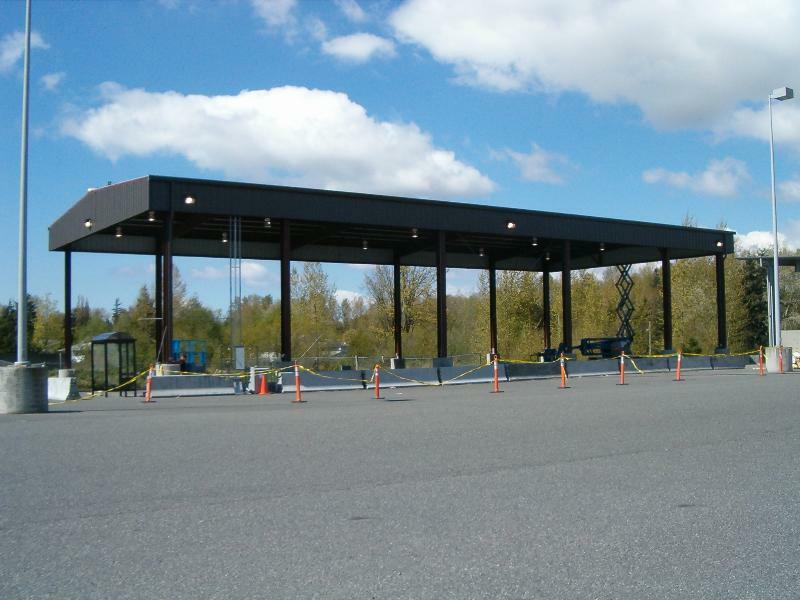 One of the biggest uses of our steel canopies is for the use of large-scale industrial carports. These canopy carports will be able to span long distances in order to fully protect cars and heavy machinery from the elements. Not only do these systems protect the vehicles from heavy weather, but can also prevent sun damage from ruining paint jobs. Plus, it would be a sauna in the employee cars after a long day of hard work. And since these structures are incredibly durable, they can stand up to even the toughest conditions. Not only will the employees not have to worry about damage to their cars, but on rainy days, the carport acts as a covered walkway as well so it is a win, win! Another tool for weather protection, oftentimes our canopies are used as a cover for facility gates. 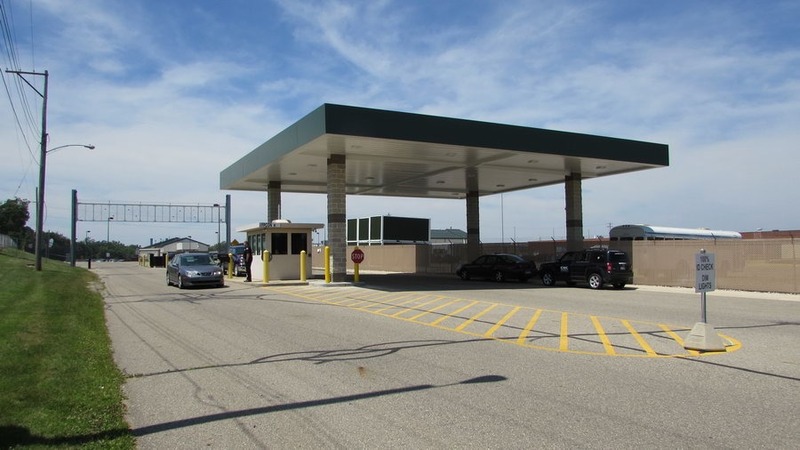 Especially for large military bases or other high-security areas, the guards providing access control will oftentimes have to leave their guard house and check incoming cars for the proper identification and even the contents of the vehicle itself. As you can imagine, this can often be a very meticulous and thorough task, so when there is heavy weather, it could heavily impede their effectiveness to identify the guest. Also, they will not want to spend half the day standing the rain. Therefore, a gate cover allows them (and the potential guest) to fully inspect the vehicle with no outside factors making their job harder. Like the gate covers, gas stations have a lot of people standing outside in the weather. In order to keep their customers from getting absolutely doused every time; they need to find a solution to keep them dry. 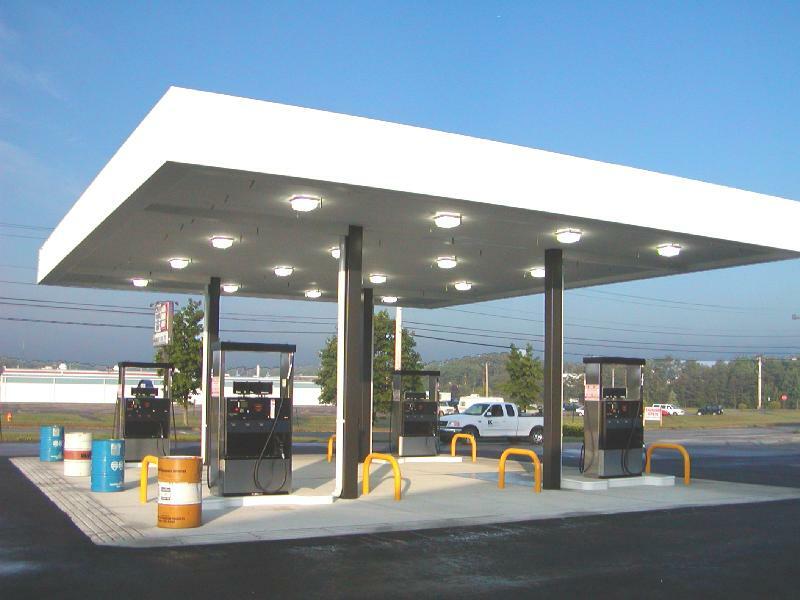 That is why almost all gas stations have a canopy over their pumps these days, and if a gas station is without one, they will lose a substantial amount of business when it is raining. These canopy systems come in a variety of spans, lengths, and heights thanks to our tandem column design. For large sports complexes and certain school systems, sports stands are designed completely uncovered. However, the games might not stop when rain or bad weather comes, or the game goes into a rain delay so while the teams might have a dugout or what not to stay out of the weather, the spectators in the stands are left to get soaked. 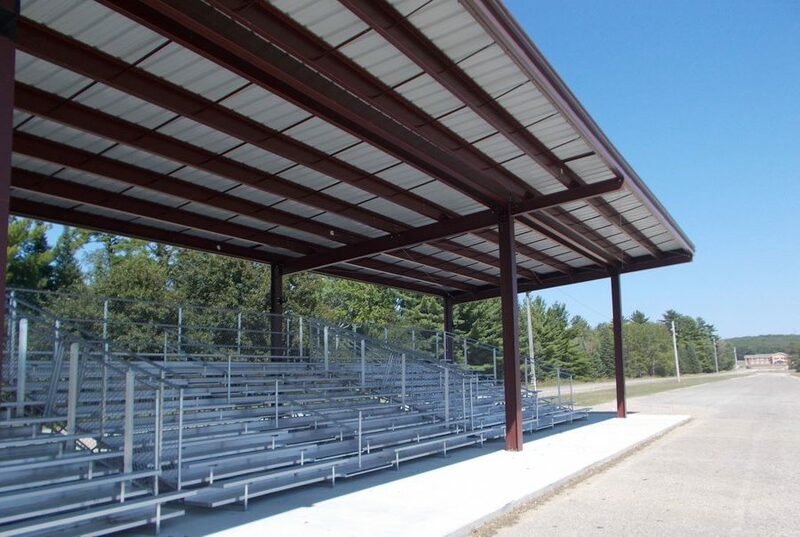 With bleacher covers, the people will not only have full protection from rain, sleet, and snow but also will have some shade for those hot summer days. The bleacher cover canopies can be designed to fit in with the park’s, already in place, seating layout and design. 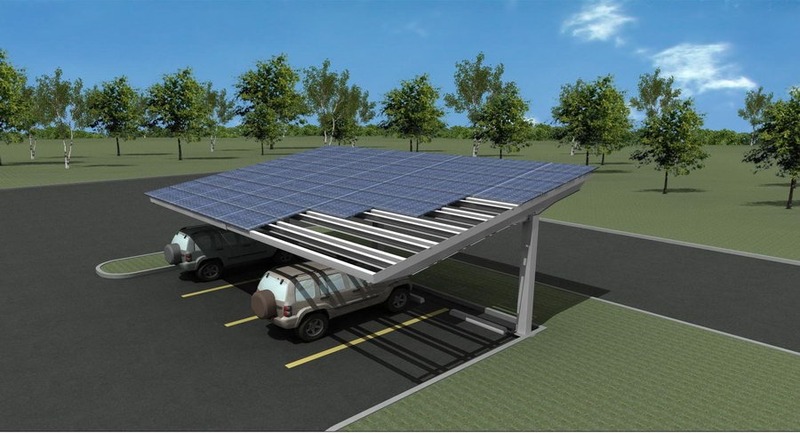 For weather protection with an extra environmental bonus, we provide solar canopies as well. These are high power solar panels that cover the roof of the canopy system. 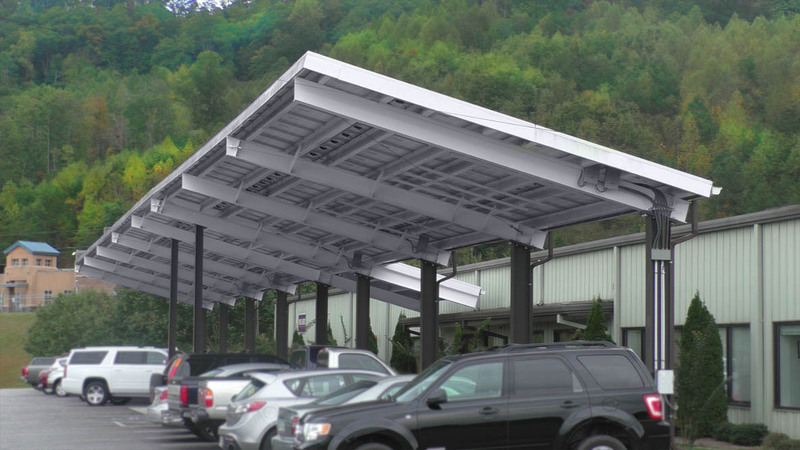 Here at Panel Built, we have a solar canopy that is over 175 feet long in length. Panel Built offers solar storage facilities to make the most of your space by adding solar power generation on top. We can also supply roof mount solutions for existing facilities, as well as a ground mount for open land. Solar storage can save you money on your electric bill as well as stabilize future energy costs. And finally, the canopy systems make a great walkway for any facility. The system will be built to your specific design so you will not have to worry about any gaps in the system. These systems work great in grade school and college campuses where students often have to walk a long way outside from class to class. The custom walkway will be able to fully cover any sidewalk or walking path to ensure an equal amount of weather protection on both sides of the path. Our walkway canopies provide a practical use for a school’s students while having a nice design that blends in with preexisting structures. These are some of the many applications for our canopy systems. With their steel I beam design and engineering, they are able to stand up to the harshest climates and weather, while still providing a very aesthetically pleasing effect. If you or your company is interested in getting a canopy project started, do not hesitate to give us a call at 800.636.3873 or send us over an email at info@panelbuilt.com. We would be more than happy to put a quote together for your or answer any questions that you may have.